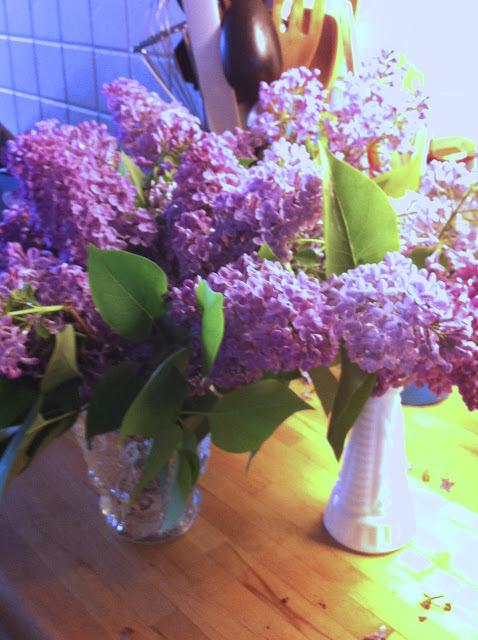 Searching for Coffee: Control; the illusion, the fight, the letting go- oh and Lilacs! Control; the illusion, the fight, the letting go- oh and Lilacs! 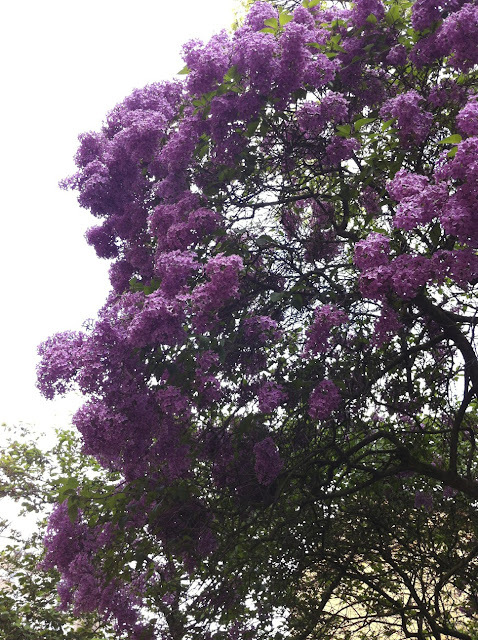 I hope that I always remember how I love that Lilac trees are the common tree in Stockholm city. They are everywhere. Three colours, lilac, white, and dark purple. When I first came to Stockholm in a spring, I remember all my previous lilac adventures. My favorite house in Sonoma when I was young had two lilac trees, one white and one purple. When I lived in Los Angeles I would buy lilacs from the flower mart in downtown L.A. in the early morning hours. When I moved to Seattle, I had a friend who loved them as much as I did. We started a tradition where we would go out under cover of night, looking for a tree that seemed to be on common or public land, and we would prune it, lovingly- heaping our haul into a box and filling our homes for weeks. 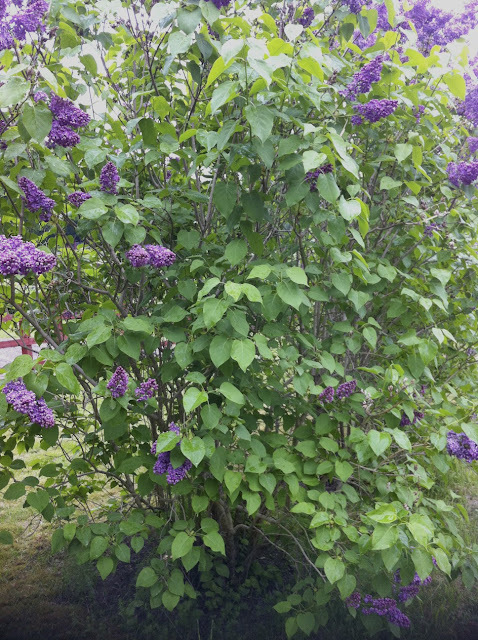 There are so many lilacs in Stockholm, one only needs a small vase of them- and getting them is easy, almost too easy-but I look forward to them every year, and one of the best plants I have in my own garden, is my own lilac tree. Time might be an arbitrary marker, but our fifties are coming, and I want to do the work, lay the foundation for those years and the years beyond. I want to shed parts of myself, ideas of myself that are no longer applicable. I hurt myself on our apartment stairs- AGAIN, I scraped off a good chunk of the skin covering my Achilles tendon- I had to realize that pain makes me want to just go to sleep or pass out- and that my ability to survive any apocalyptic event are quite low. Today I am worse than yesterday because the area has not stopped bleeding and somehow now, I am unable to put pressure on the foot so I can't really walk, and I feel queasy and dizzy when I try. We are meant to go visit family in Macedonia in three days, so I'll just have to wait, and try to stay off of my foot, at least for today. I have been listening to a talk by a doctor Dr. Northrup about ageing, specifically women and ageing as recommended by a friend. A foundation year for the life we are choosing based on our last ten years. I am unable to articulate how happy I am to have found a best friend and place to live with him that is to my mind a paradise. I am happy my lilac tree is thriving, and will be blooming when I return to it.